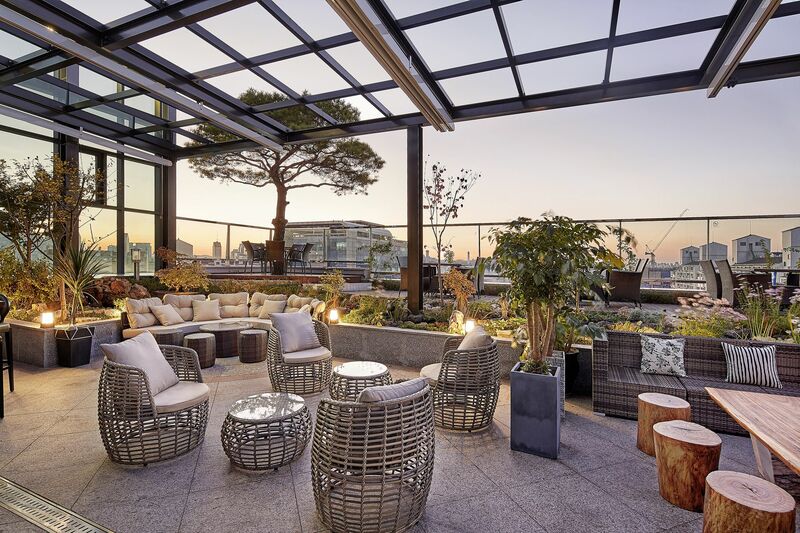 Perched on the top floor of the hotel, the rooftop bar offers a spectacular 360° view of Seoul city skyline. Our design of rich and gold colours creates a casual environment suited for social gatherings, further softened by the warmth of natural wood accents. Featuring an array of premium wines, whiskeys, craft beer and artisanal cocktail, the bar also serves up gourmet sharing platters, burgers and cast-iron grills to match the tipple of choice.